The Marcé Society is delighted to support the #everyonesbusiness campaign which aims to improve the lives of all women throughout the UK who experience perinatal mental health problems, and will provide the key information and tools to support commissioners and service providers to make the necessary improvements. If you’re in need of support, search our network to be connected with a professional counsellor or psychotherapist. If you are searching for a care provider for you or a family member, you may visit the website of the American Society of Clinical Psychopharmacology, http://ascpp.org/. The website has a psychopharmacologist database where you can enter your state and search for members in the U.S.. Also you can contact Postpartum Support International for a local referral – they maintain both self help group and professional referrals. This is always a place to start. Here is their website: http://www.postpartum.net. Bluebell Nurses is a new charity based in Bristol in the UK raising funds for specialist nurses to support Mothers & Families affected by Post-natal & Ante-natal Depression. For more information about this program, please visit: http://www.bluebellcare.org/. For fathers, health professionals, groups, and individuals. The films are designed to challenge stereotypes by reinforcing the notion of a balanced parental relationship which is fundamental to help the mother affected by post natal depression to cope with the disorder and to make an effective recovery from it. Each film looks at a particular aspect of the mother/father/infant relationship, examines the particular stressors and misconceptions that can cause it to become unbalanced and proposes possible remedies. The films are not intended to positivistic, in the sense of linking specific problems with specific solutions, because often problems in postnatal depression are not well defined and overlap with the ordinary responsibilities of parenthood and child-care. Rather they are intended to stimulate a focused discussion in which possibly difficulties and possible solutions can be constructively debated. This website, from Marcé Society Treasurer Vivette Glover, shows how the emotional state of the mother can affect the neurodevelopment of the fetus, and shows some of the underlying mechanisms. There are three short films to view. Funded through the NIMH, this educational resource provides healthcare professionals with materials to help screen, diagnose, treat, and refer women with postpartum depression (PPD). It includes interactive presentations/case studies, expert panel discussions, diagnostic tools, video vignettes of patients, and a comprehensive slide library. The patient section of the site contains materials for women with PPD and information for friends and family members in both English and Spanish. Links and contact information for a variety of resources are available for those in immediate need. A leading UK charity that provides information, carries out research, campaigns and works to improve services for anyone affected by mental health problems, whatever their age and wherever they live. *provide up to date research information to women who have experienced PP and to their families. *increase awareness of PP among health professionals and the general public. *advocate for improved services for women who experience PP. 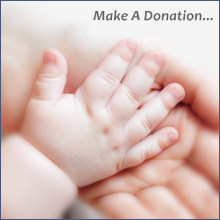 The Birth Trauma Association supports all women who have had a traumatic birth experience. OTIS, the Organization of Teratology Information Specialists, is a non-profit organization made up of individual services (TIS) throughout North America. We are dedicated to providing accurate evidence-based, clinical information to patients and health care professionals about exposures during pregnancy and lactation. The website includes fact sheets about exposures to diseases and medications. Perinatal Anxiety & Depression Australia is a specialist not for profit organisation that has helped tens of thousands of Australians get vital information and support for antenatal and postnatal anxiety and depression for over 30 years. Providing the only national dedicated perinatal mental health service in Australia, PANDA also works to raise awareness in the Australian community about perinatal anxiety and depression, including the signs to look for and where to go to seek support. (Post-Natal Depression Support Association of South Africa) started by a group of health professionals and women who have recovered from Postnatal Depression. We are dedicated to supporting other women who may be going through the same experience and to making it easier for them to find help. PSI is a non-profit organisation based in the United States. It was founded to increase awareness among the public and professional communities about the emotional difficulties that women experience during and after pregnancy. TABS is Trauma And Birth Stress, a Charitable Trust that serves as a support group of mothers. We have in common stressful and traumatic pregnancies or births that affected our lives negatively for months or years afterwards.